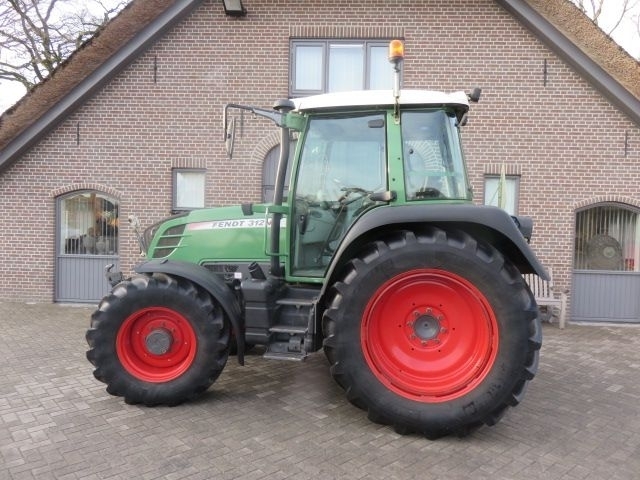 The detailed specification of FENDT 300 series wheel tractor is provided below. Engine/driveline: 125 hp, engine: Deutz, transmission: vario, power take-off, number of hydraulic valves: 3 x. Wheel formula and suspension type: front axle suspension, 4x4, air brakes, front tires: 480/65R38, rear tires: 540/65R38. Exterior measurements: length – 4130, width – 2320, height – 2820.